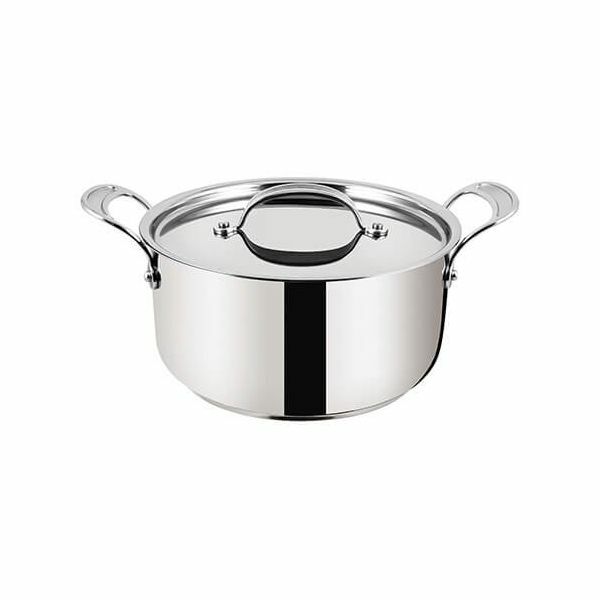 Create delicious stews and casseroles in this 24cm Stewpot from the Jamie Oliver Stainless Steel Premium Range by Tefal. The attractive stainless steel exterior provides excellent heat distribution and retention. 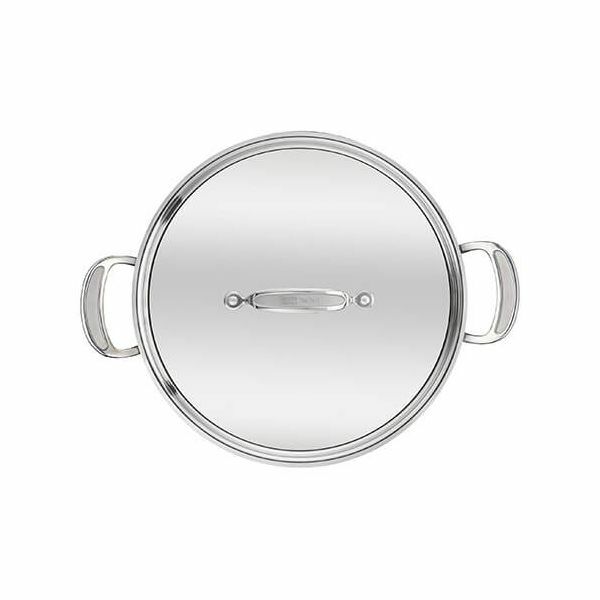 Compatible on all hob types including induction, this Stewpot is also dishwasher safe and oven safe to 210°C. 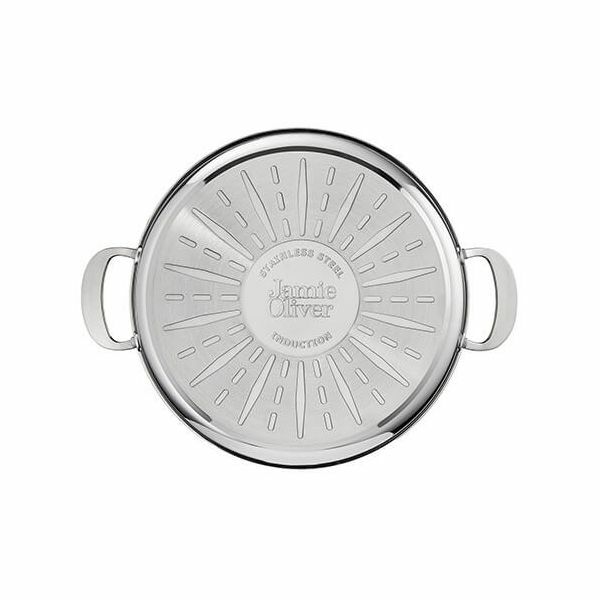 The two large riveted stainless steel carry handles have silicone inserts for added comfort and grip when lifting and carrying and the stainless steel lid will retain heat, moisture and flavours for delicious results.